The best brew pot on the market just got better. The G2 BoilerMaker is a stainless steel beauty that was designed with one thing in mind, and that's brewing beer. 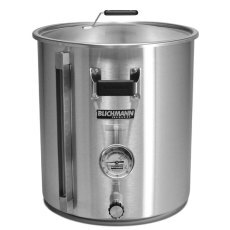 The BoilerMaker comes stock with all the bells and whistles you won't find in any other brew pot, and the heavy gauge 304 stainless steel will practically turn this pot into a family heirloom! The BoilerMaker G2 is hands down the best brew pot your money can buy. 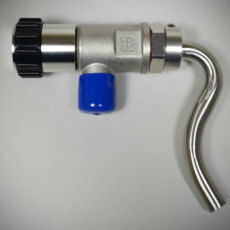 Fixed angle BrewMometer that can be easily installed in any brew pot with a 1/2" female NPT port. 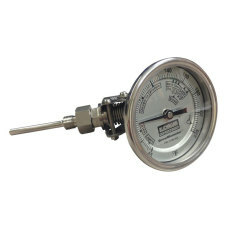 Fixed angle 3.25" temperature probe, and dial face is hermetically sealed with suggested mash temps printed on. 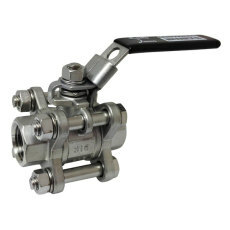 High quality 1/2" ball valve with 3-piece construction that gives you the functionality and durability you come to expect from the folks at Blichmann Engineering. This bad boy will last you a loooong time. 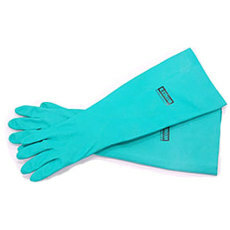 Industrial grade brewing gloves, just like the pros use. Protect your skin from burns/scalds, harmful chemicals, and help maintain a sanitized environment. Easy to use and easy to clean! 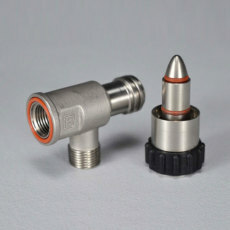 The linear flow valve from Blichmann Engineering gives you the brewer better control over your flow rate than a standard ball valve, easier connectivity for your tubing, and the two piece design makes cleanup a snap; literally! Heat up strike water and maintain mash temperature! 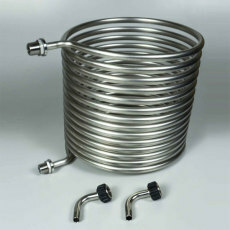 Large HERMS coil can be used on 15 to 55 gallon kettles. Made of 304 stainless steel! 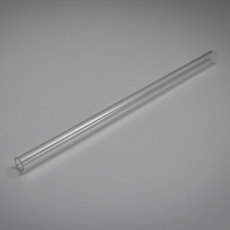 An authentic Blichmann Engineering replacement glass tube level gauge for the 15 gallon G2 Boilermaker! 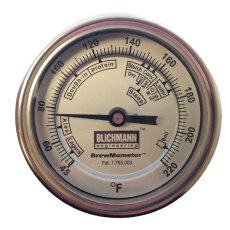 The ultimate brew pot thermometer from Blichmann Engineering, features a 3" dial face that won't fog and is adjustable so you can turn the face plate in almost any direction/orientation you want to. No more bending over to get that temperature reading!